Need to pull together a last-minute fab costume for Halloween? Don’t worry, we’ve got you covered! 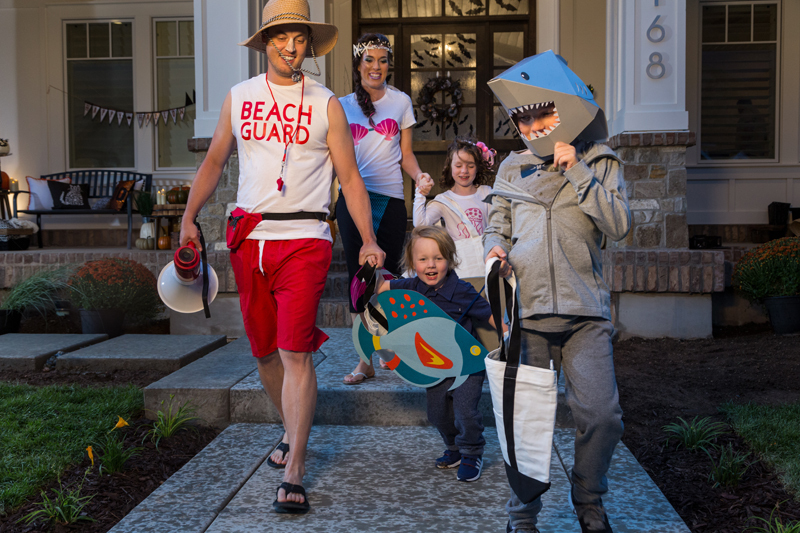 Check out this creative Underwater Wonderland costume that will not crush your piggy bank and can be pulled together with relative ease. 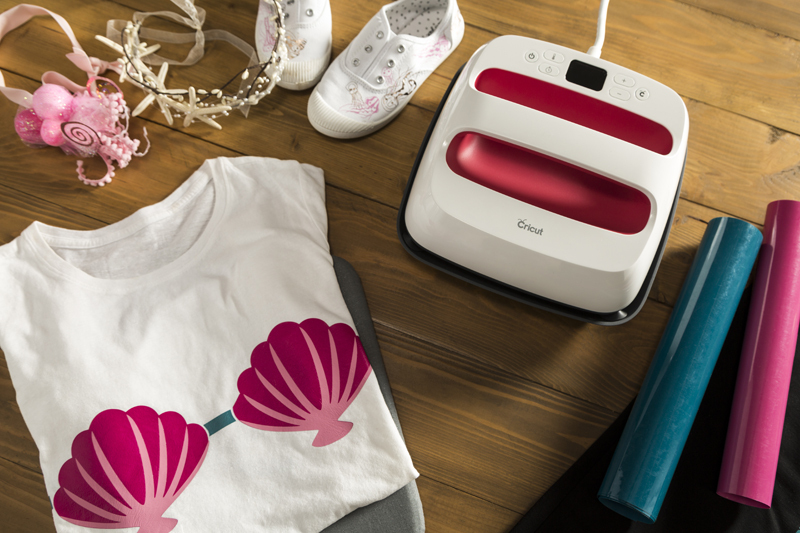 Grab one of your extra white t-shirts, pick up a simple black skirt, turn on your Cricut Maker™and EasyPress 2, and get ready to make! This adorable ensemble can be pulled together in no time and with little stress. 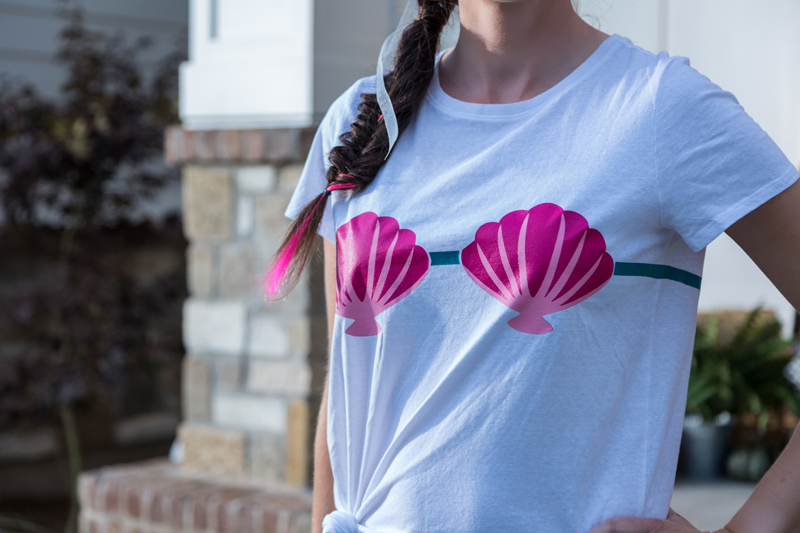 For the clamshell bikini top, you will want to layer Everyday Iron-On Blush and SportFlex Neon Pink Iron-On (see instructions for layering iron-on). Check out the cute bikini bow on the back side of her shirt! It’s the little touches, right? 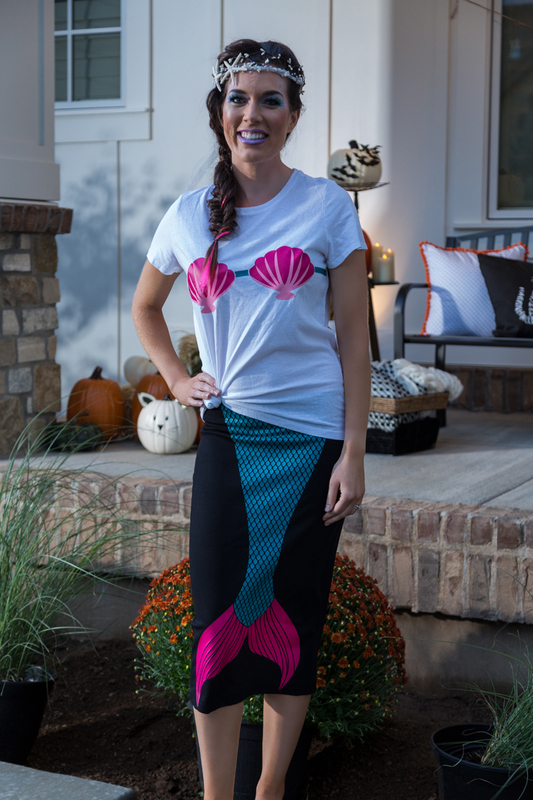 For the amazing mermaid tail, go neon! 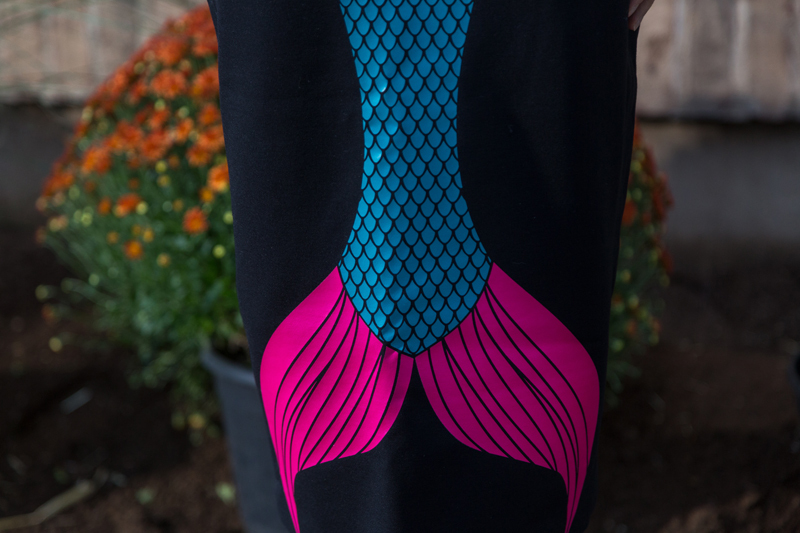 Cricut Everyday Iron-on Neon Blue and SportFlex Iron-on Neon Pink provide the vibrant pop you need for the iridescent mermaid tail. If you want to go crazy, you can consider applying the same design on the back side of the skirt as well. 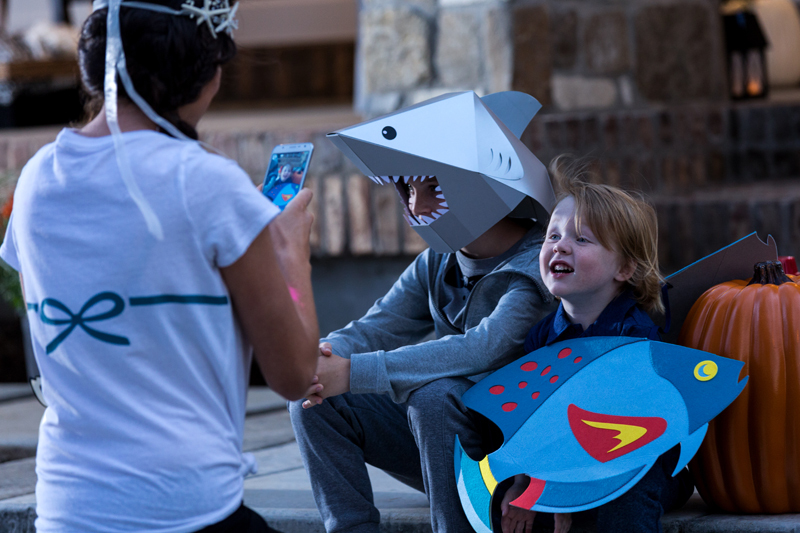 The Miller’s Underwater Wonderland theme is complete with the Mermaid Tail Costume pulled together in just under an hour. For more Halloween costume, décor and party ideas, check out the hundreds of projects in Design Space® or check out our other Halloween Craftspiration blogs .